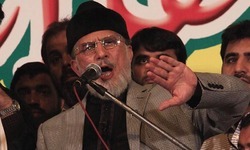 The PAT chief said that protests will now be held all over the country, terming it the "next stage of the revolution". 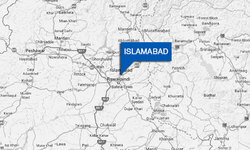 An Islamabad Police spokesman, however, said that a private residence has been acquired to accommodate policemen. 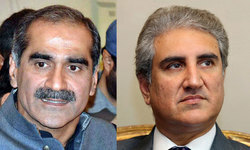 Earlier, Shah Mehmood Qureshi admitted that Imran Khan and Tahirul Qadri met in London without reaching any agreement. 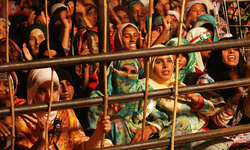 Declaring the detention of 56 arrested workers illegal, the court directed to release them at the earliest. Opposition jirga writes an 11-point letter to govt and protesters urging them to end the impasse at the earliest. 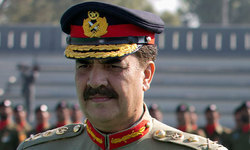 The minister vowed to present before the Parliament a detailed law and order situation in Khyber Pakhtunkhwa soon. 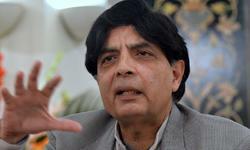 “Scribbling or writing on currency notes is illegal and would render them useless,” said the finance minister. 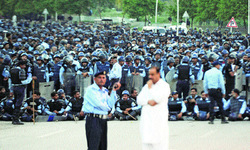 The PM, while presiding over the Federal Cabinet meeting, vowed to accept all constitutional demands of the protesters. 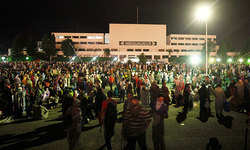 Meanwhile, dialogue to diffuse tension between the government and the protesting parties continued unabated. We are having all the wrong discussions, and then have the audacity to ask why we're not seeing progress. We must first get to a place where the only way to change a government is through a legitimate constitutional process. 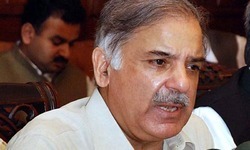 PTI leadership was disturbed at Imran’s “autocratic” and “undemocratic” attitude and quitting the party, Shahbaz said. 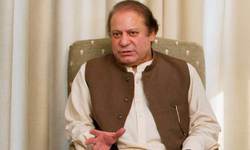 Says conference to develop strategy on turmoil. 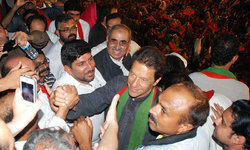 Can Mighty Khan and Molvi Sahab please accept the package and move on? 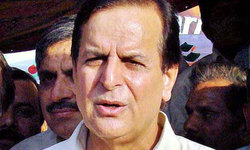 PTI and PAT aim to get some bodies to give a boost to their sinking political boat, PML-N leader alleges. 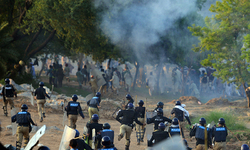 There are political fighters everywhere, but hardly any Pakistanis condemning this tragedy in its entirety. 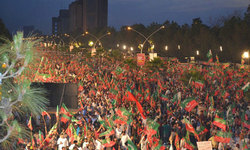 “You can’t see anything here at D-Chowk. The tear-gas is overwhelming." It is 14 counts of murder. Resignation is not the worst that can happen. 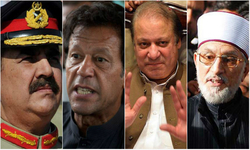 Military backs political resolution to crisis; Islamabad braces for Imran's march to PM House. 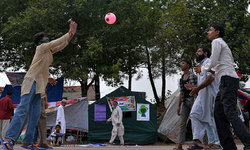 Military sources said the army was going to continue in its role as mediator between government and protesting parties. 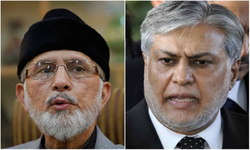 PTI leaders also prevailed upon Dr Tahirul Qadri, who extended his latest deadline to the government by 24 hours. 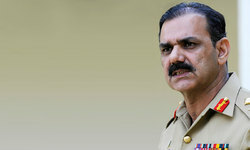 DG ISPR posts message to Twitter saying army is playing "facilitative role" as asked by government. 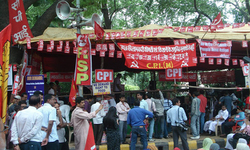 Not all participants of sit-ins there of their own accord. 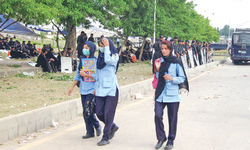 Security around Red Zone tightened, even pedestrians denied access. 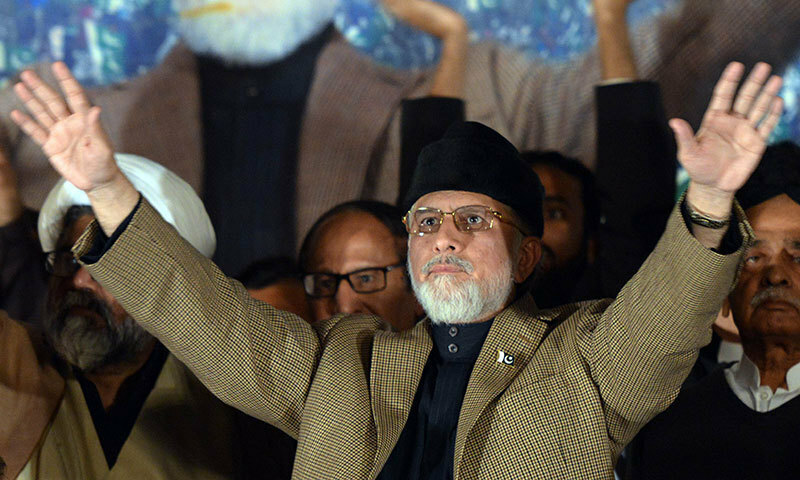 Will not compromise on demand for Sharif brothers' resignation, Dr Tahirul Qadri tells his supporters. 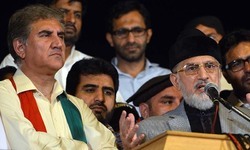 PAT chief and PTI chairman announce that PM has made COAS a 'guarantor' regarding the protests. 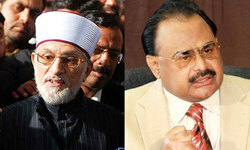 The MQM chief establishes telephonic contact with Pakistan Awami Tehreek chief Dr Tahirul Qadri. 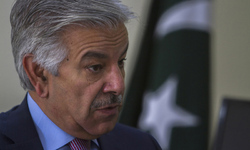 Khawaja Asif in National Assembly session government has agreed to register FIR in Model Town case.